This year we are increasing the amount of awards to $2,000 in cash or merchandise! IAA sponsors a juried show annual for its members — this year is the 62nd. Location: both the East and West Galleries at the Jaycee Park Center for the Arts. In 2016 we experimented with changing our entry method by taking a page from the past. It was a success and we will again accept entries both online and also on Intake Day. Because you save us volunteer labor, entering online will be $25 – a $5 discount. Deadline for early online registration is May 25 and images are optional also – if included they may be used in publicity. As in prior years, we will have a Challenge Award for a special theme. This year it’s Birds, and participation is optional. Intake day is Saturday, May 27, 10am – 2pm. Registration fee for artwork submitted on intake day is $30. Those members who have registered previously online will deliver their work too. Must be an IAA member for the 2016-2017 or 2017-2018 dues year. If you haven’t paid your dues, click here. All entries must be original and completed within the last three years. 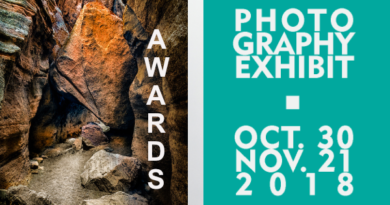 All types of subjects are accepted into the show, but all artists are requested (not required) to enter at least one artwork illustrating the theme of Birds for the Special Challenge Award. 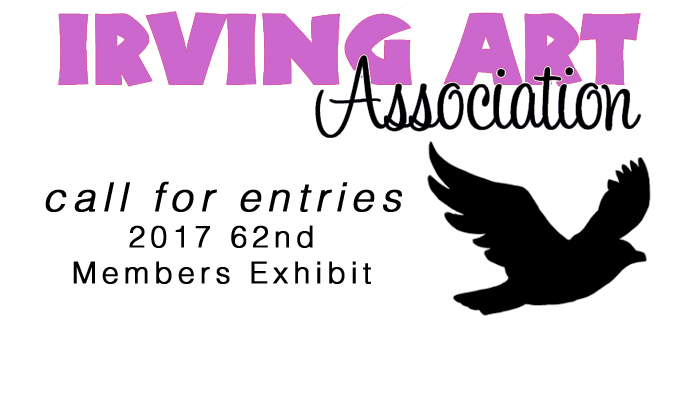 Challenge contenders will also be judged within the media categories and will be invited to participate in the IAA Winners Exhibit traveling to the Irving Arts Center in July. Categories: Oil Painting; Water Media; Mixed Media/Misc. ; Dry Media; Photography. Supports: canvas, panel, paper, or yupo. Artwork must not exceed 36” x 36” framed nor be heavier than 20 lbs. Artwork must be framed and wired. Plexiglas only for work over 16″x 20″ (exception pastels). No saw-tooth hangers. Wrap around canvas at least 1.5″ deep painted on all sides. Fee: $25 for 1-3 entries online. (discount for online entry) Deadline May 25. No images required. $30 fee for 1-3 entries at intake on Saturday, May 27, 10am – 2pm.